Extremely high-level housing, with flawlessly integrated technology, is something many dream of. 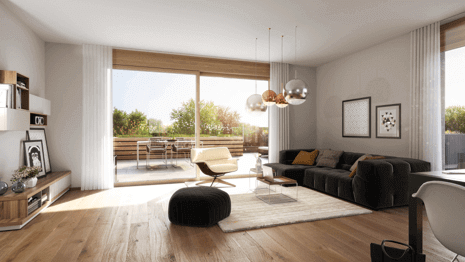 However, in Upper Austria ‘Das Levels’ – which translates to The Levels, is a new exclusive residential complex, which is helping that dream become a reality. 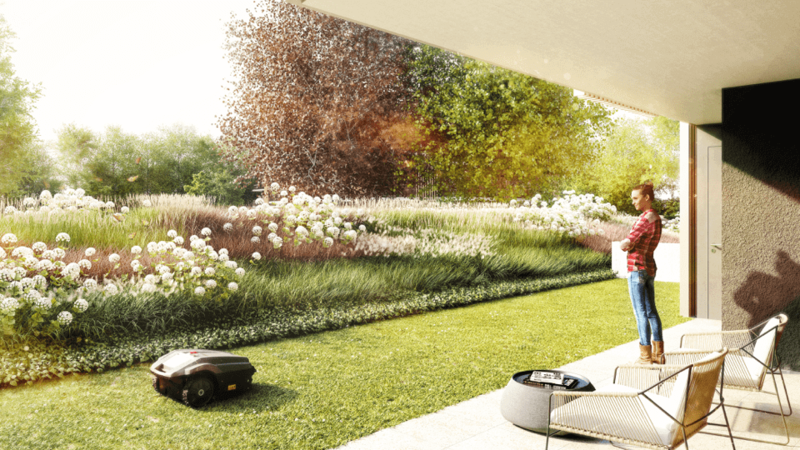 With 125 premium apartments, all with Loxone Smart Home Technology installed to ensure the absolute highest living standards. After decades spent dormant, a unique location in Upper Austria is being brought to life. 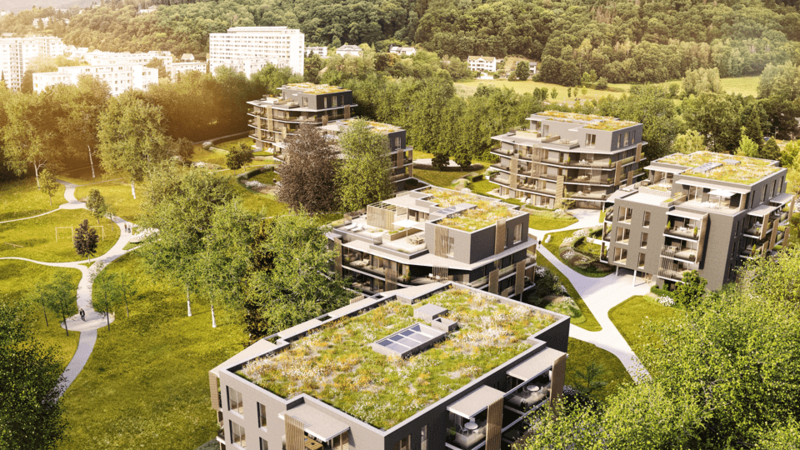 With the site totalling 24,800m² there’s plenty of space to work with and that’s exactly what’s being done, with one of the most exciting residential complexes in Austria being developed. The new complex will consist of 125 apartments, split over the site’s six brand new buildings. All of which will be connected via a footpath which will run through the site’s beautiful grounds, which happen to be nicely secluded from the outside world due to the surrounding trees. Within the buildings, there is a wide array of apartments to choose from micro-flats to penthouse suites with large terraces. All have the option of being finished with one of three stunning interior designs. It’s not only the ‘typical’ family home that Loxone can enhance. 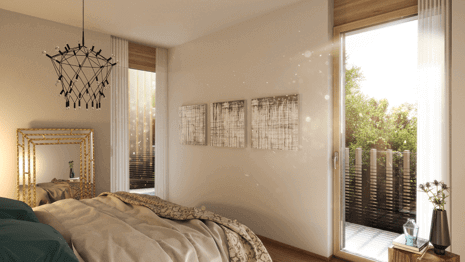 With our seamless integration into the modern interior of these apartments, the future Sompark residents will experience the absolute finest smart home technology. 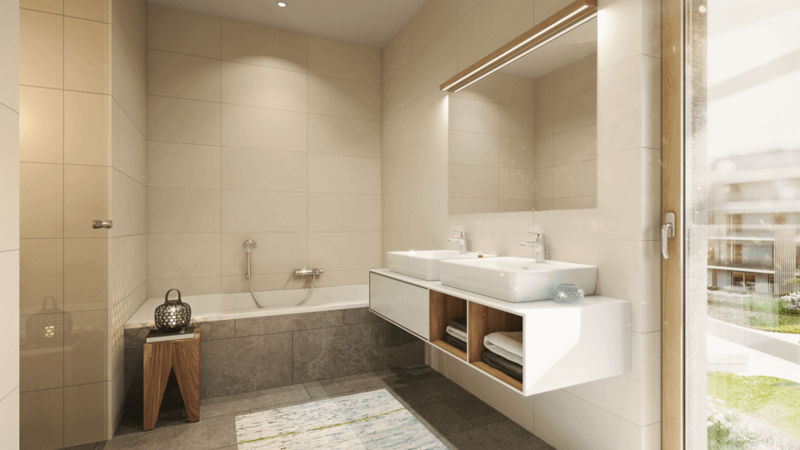 The technology is sleek and intuitive, with users being able to operate the systems in multiple ways, whether they’re in the apartment or on the go. Let’s take lighting as an example, the Loxone app will give residents the ability to quickly check which of their lights are on and then if needs be, they can turn them off all from within the app, even if they’re out. 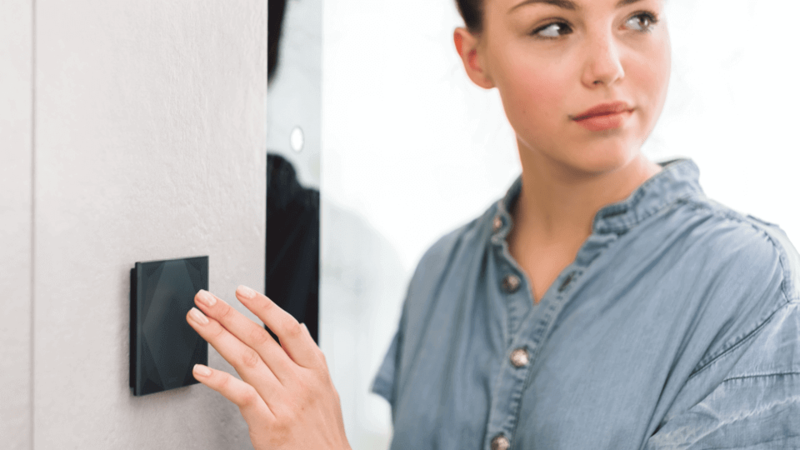 However if they’re in, then there is no need to open the app as lighting can be controlled from Touch switches throughout the home. It’s not just lighting that can be controlled by Touch switches and the app, shading can be too. However, if the new owner would like their shading to be taken care of for them, they absolutely can. With the Loxone weather station bundled in with the Weather Service, you get exact weather data from a professional weather provider. This can be used to automatically control shading so the windows being penetrated with the most sunlight can be covered. There isn’t much point in having such a beautiful apartment if you’re always too hot or too cold. That’s where Loxone comes in, ensuring that all 125 apartments are always at the perfect temperature. With individual room functionality, each room has the ability to be set to a different temperature to suit your usage needs. Whether that’s a cool 18° in the bedroom, a pleasant 21.5° in the living room or a warm 23° in the bathroom, just change the desired temperature in the app. Whether in the micro-flats or the penthouse suite, Loxone provides reliable protection to all residents. The Loxone smoke detectors, for example, ensure that occupants are informed immediately in the event of any smoke or fire. The lighting throughout the property will start to flash, the shading will open and an instant notification is sent to owners smartphone. At their request, the future owners of these stunning properties can upgrade their apartments and add even more functionality. 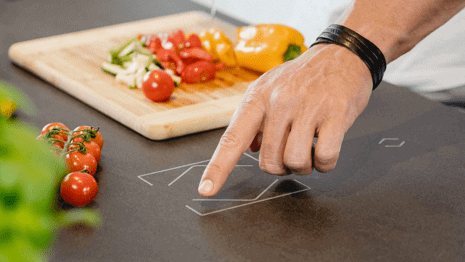 For example, they could add our Touch Surface to their kitchen worktops to allow control of lights, music, shading etc all from their work surface. Are you also planning a major project and looking for the perfect smart home solution? With Loxone you can rely on one of our Partners when it comes to intelligent systems, smooth integration and sustainability. Discover the possibilities of Loxone in a scalable environment. Need some help? With us, you’ll receive free technical support via telephone or with a remote desktop session.